San Diego’s magnificent new Central Library opened a few weeks ago and I’ve spent quite a few hours at the new building since it opened. I’ve been closely following the progress of this building since construction started back in August of 2010 and I was genuinely excited to finally see it open. Now that I have throughly explored the building from top to bottom I can honestly say that it has exceeded my high expectations. I think the design of the building is striking, but it is also highly functional. Every floor has plenty of work space and seating, as well as numerous power outlets for laptops, tablets, phones, etc. 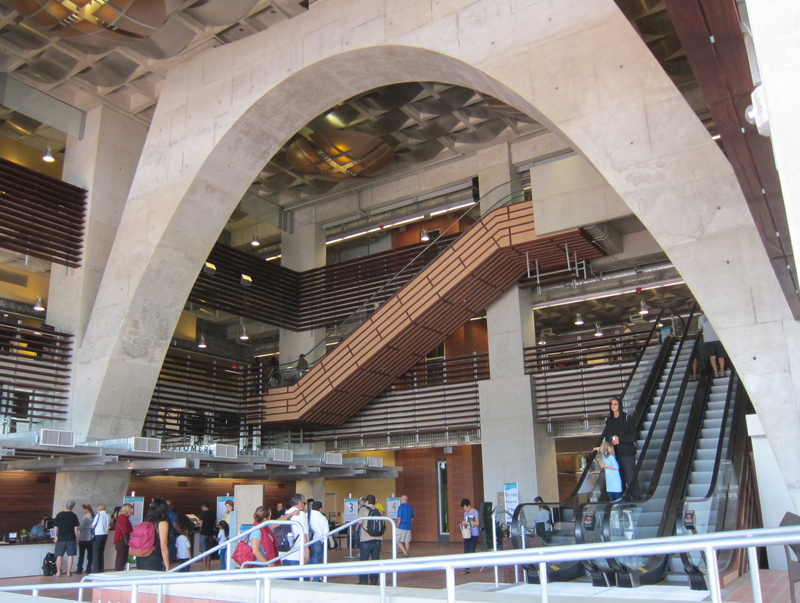 It is a library built for the 21st century. 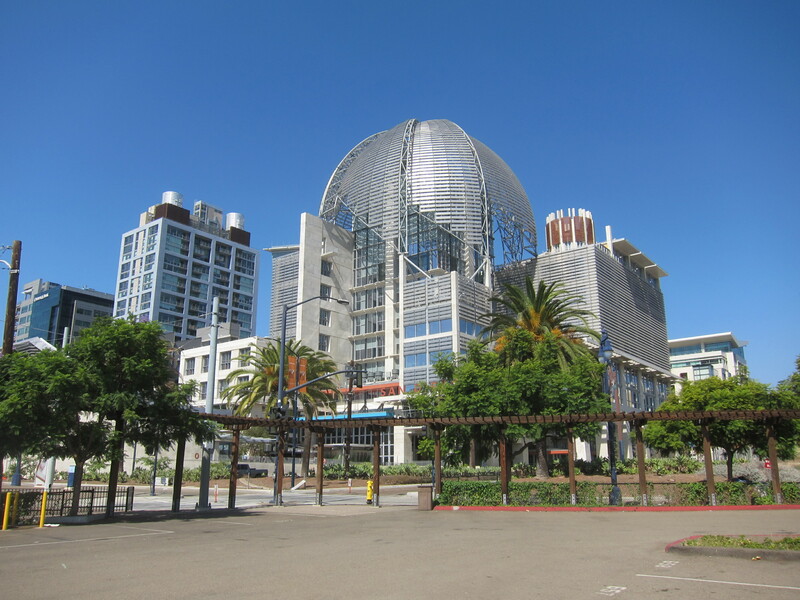 Why did San Diego build a new library? 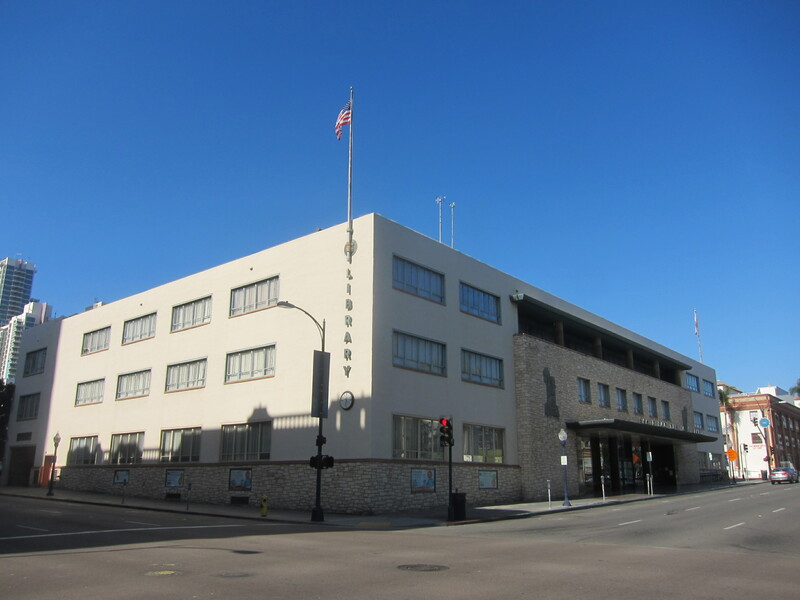 Well, here is picture of the former Central Library, which was built in 1954, back when San Diego had a population of less than 400,000. 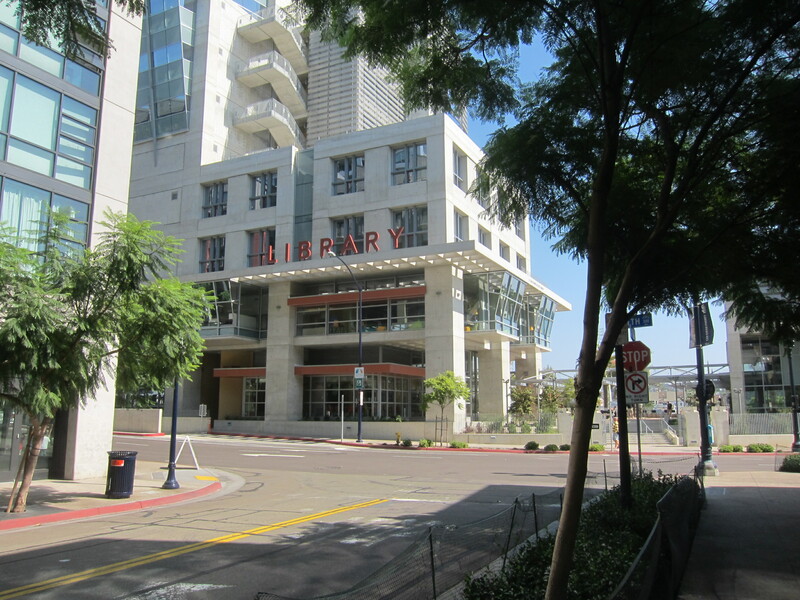 The old library was a perfectly fine building, but it was simply too small to serve as a library for the major city that San Diego has become and it was hopelessly out of date technologically. I visited the old library many times and it seemed like a building that had hardly changed from the 1950’s era. It did have a few computers and free wifi, but still seemed to be very antiquated. The furniture, for the most part, looked like original equipment, straight from 1954. It even had a 1950’s/1960’s era phone booth off the main lobby. I think the new library is a building that the people of San Diego can be very proud of. 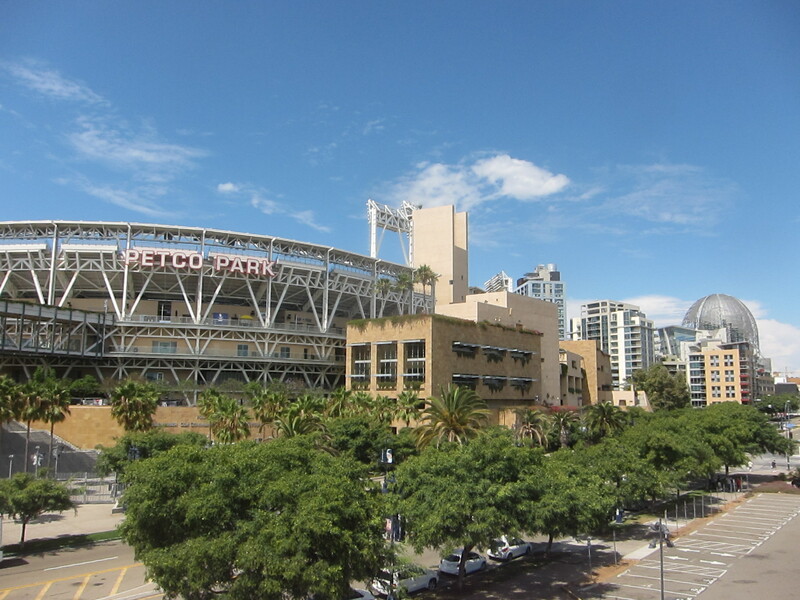 It is arguably the most important new building to be built in downtown San Diego since neighboring Petco Park was completed in 2004 because it is an iconic structure that has immediately become one of the most distinctive buildings in the entire city and it will play an invaluable role as a major academic and cultural asset for the city. Both of the structures have helped transform the East Village section of downtown San Diego, from an ugly unattractive part of the city which was dominated by warehouses, parking lots and run down buildings to a very modern and attractive residential area. The East Village is still a work in progress, large parts of that section of town still need to be improved, but the Library was a major step forward for the neighborhood. It has added character to the East Village in a way no other building could. If you would like to see more pictures of the Central Library, both inside and out, please click the link below. That will take you to a slideshow that I recently put together which is comprised of pictures I took during my visits to the library over the course of the past few weeks. Great stuff, George. Thanks for sharing. You’ve inspired me to put visiting the new library high on my to-do list.